If you remember metal braces, you may imagine multiple rubber bands and constant trips to your Kirkwood orthodontist. Metal Braces and rubber bands are not always comfortable when first applied and they may take time to get used to. You may choose to not wear rubber bands but that will only lengthen the time necessary to straighten teeth. Wearing or not wearing rubber bands are not the only options. Get the help you need for your rubber bands from your Kirkwood, MO, orthodontist, Dr. Borello. Orthodontic patients with ceramic or metal braces may also be using rubber bands that work with their braces. Rubber bands are used to provide you with better treatment and improved outcomes. You want straighter teeth. This is the number one reason why people choose to have braces inserted into their mouth. Rubber bands rely on the power of elasticity to effectively straighten crooked and misaligned teeth with added pressure. 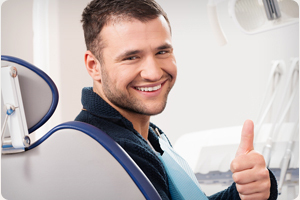 They reduce the time it takes to correct misaligned teeth. Rubber bands are not used with all forms of braces, such as Invisalign, but those choosing affordable metal or ceramic braces may want to optimize their results with the use of rubber bands. Rubber bands are especially effective in correcting overbites and underbites. Children and adults can speak to an orthodontist in Kirkwood, MO about their braces and how to speed up the time it takes to correct misaligned teeth with the use of rubber bands. Abrasion- Your Kirkwood, MO, orthodontist can provide wax products that will decrease abrasion that may be associated with rubber bands. Discomfort- Your orthodontist in Kirkwood, MO can prescribe a pain-relieving medication or anti-inflammatory to help with any discomfort. You do not have to feel discomfort with rubber bands use with your braces. Call our Kirkwood orthodontics office today to discuss any issues with your rubber bands.